# Ms. Vampire who lives in my neighborhood. 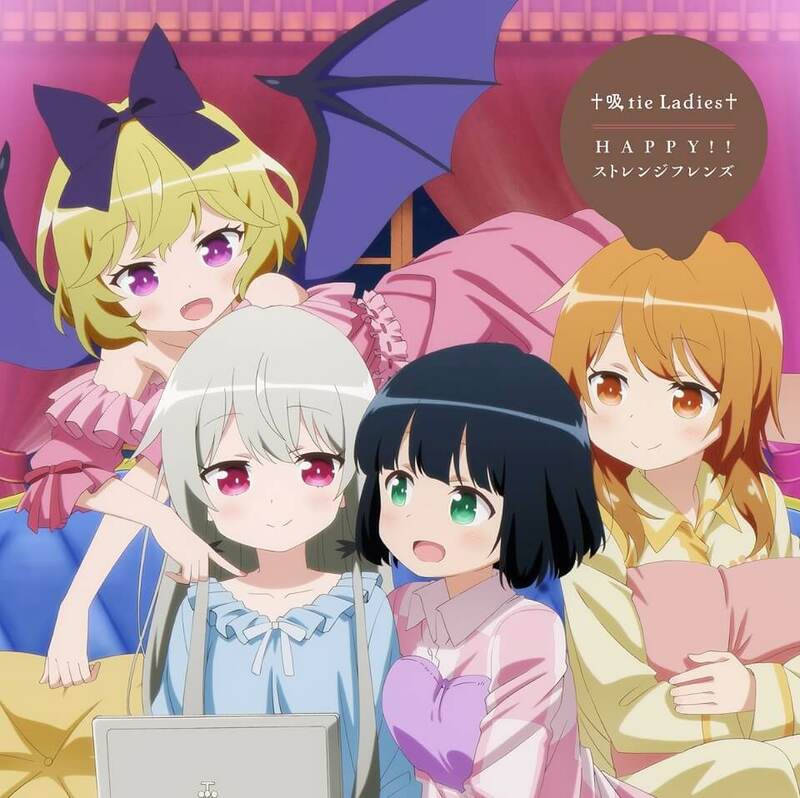 An interview covering the recording of the opening and ending theme songs for the upcoming anime series Tonari no Kyuuketsuki-san has been made public. The interview features Lynn who sings in the songs as the character Hinata Natsuki who she plays in the show. The CD cover for the single has also been unveiled (pictured below) which contains both themes entitled †Kyutie Ladies† and HAPPY!! Strange Friends respectively. Tonari no Kyuuketsuki-san is a four-panel manga series by Amatou that has been serialised in Comic Cune since 2014. The anime adaptation will begin airing on October 5. The opening and ending theme songs will feature singing from all four main characters: Sophie Twilight (Miyu Tomita), Akari Amano (Yu Sasahara), Hinata Natsuki (Lynn) and Ellie (Azumi Waki). ーーWhat kind of child is Hinata Hinako who you’re playing? ーーBecause she’s jealous of Sophie and Hikari’s relationship, right? Do you feel she’s a character that sounds full of energy? ーーWhat’s it like on set? ーーThe entire main cast will now sing the opening and ending themes. What were your thoughts when you first heard that? ーーHow do you feel about each song? Do you have any favourite parts? ーーHow about the ending song HAPPY!! Strange Friends? ーーFinally, please leave a message for fans looking forward to the anime. *Attending cast subject to change without notice.